The Highline 46.7 P-A model is the basic petrol lawnmower in the 46 cm range and suitable for medium lawns. 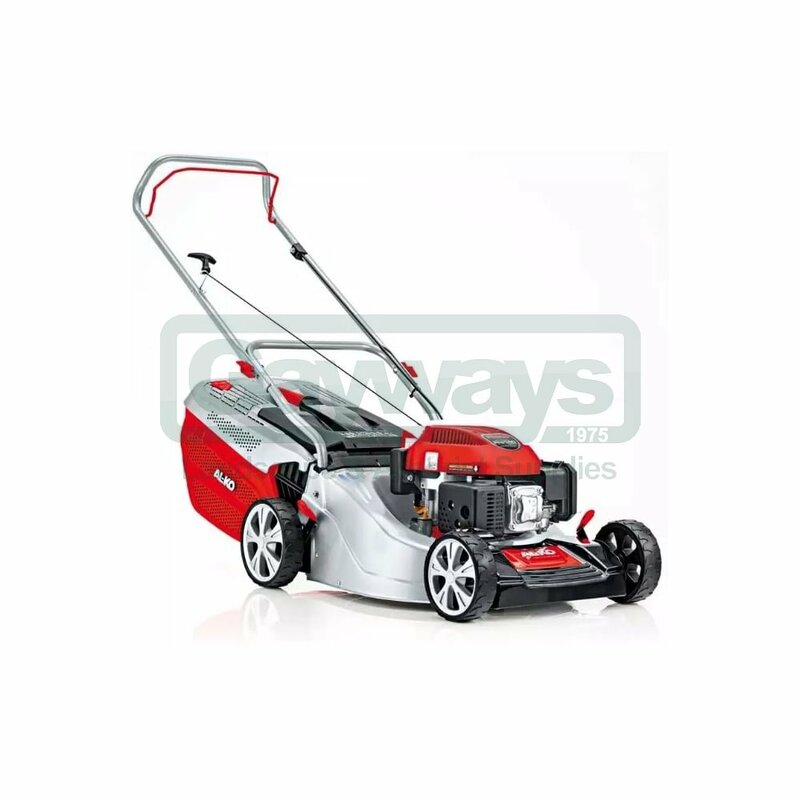 The Highline 46.7 P-A is a 3INONE petrol lawnmower with a 46cm / 20 inch cutting width, ideal for medium sized lawns of up to 1100m2. 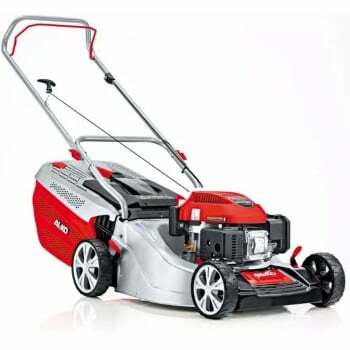 Engineered in Germany and powered by an AL-KO PRO 140 Quick Start 140cc petrol engine the Highline 46.7 P-A delivers fantastic cutting and collecting performance. The MAX AIRFLOW Steel deck is specially designed to increase airflow underneath the mowing deck resulting in the grass cuttings being thrown in a high arc through the large discharge channel and into the back of the easy to attach, large 70 litre capacity grass collector. When the large capacity collector is full, the indicator on the top of the collection box will let the user know it is time for the grass to be emptied. The individual wheel height adjustment levers allows for the grass cutting height to be set to the desired height at between 25mm - 75mm. The XL smooth running wheels feature wide tyres to protect the lawn and make it easy to push the mower over uneven ground. The comfortable cutting height adjustment enables the mower to cut at 7 different heights between 25 - 75mm.